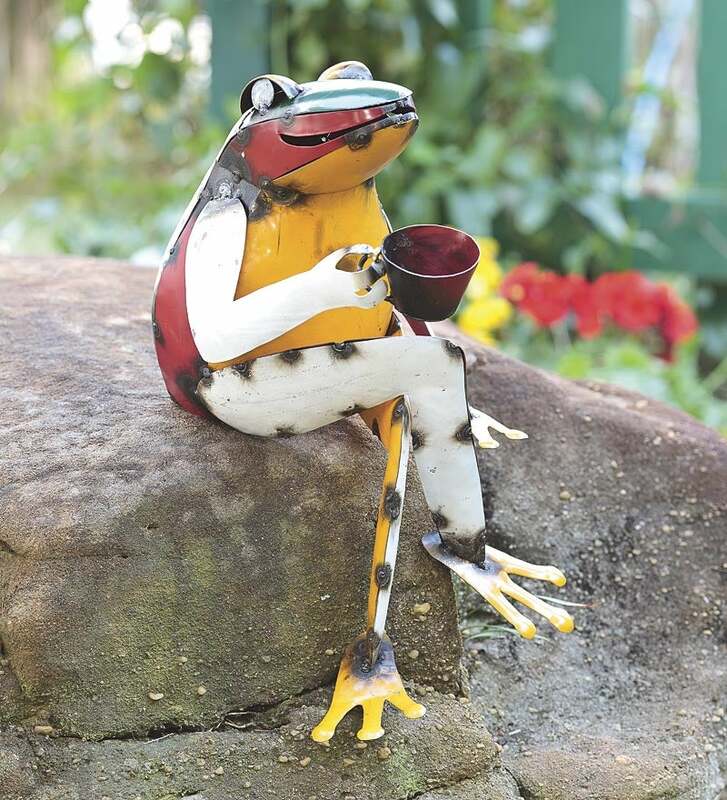 Colorful and eye-catching, our delightful Recycled Metal Coffee Frog Garden Art will always make you smile. 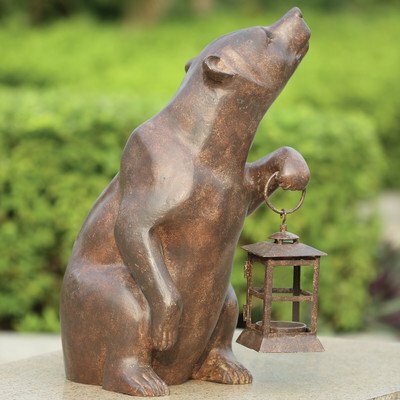 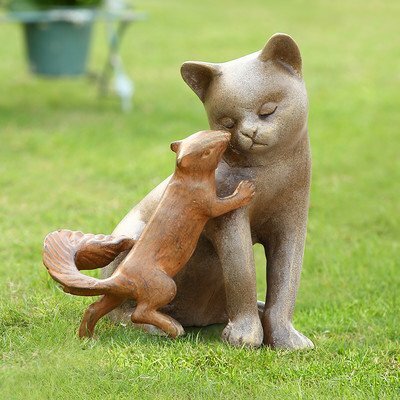 Seat him indoors or out, he makes a great conversation piece for garden walk, porch stairs, hearth or anywhere you want a fanciful, fun-loving accent. 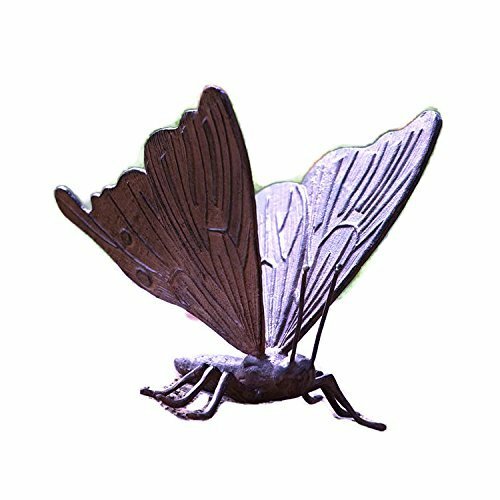 Our Recycled Metal Coffee Frog Garden Art is handmade from recycled oil drums in Bali by local artisans-each one is unique.